HOST club Stockport homed in on the Cheshire Junior Club Team Championship which attracted 30 team of three. and the honour of representing the county at Woodhall Spa in August for the National Finals. Prestbury took the Meston Cup for the gross team prize. Best nett was won by Harry Livingstone from Alsager with 41 points and Matt Taylor from Crewe had the best individual gross with 37 points. LOUISA Brunt, a 13-year-old 10 handicapper who plays at Ashton-under-Lyne, fired a six-under-par nett 67 at York to win the North Regional qualifiers for England Golf’s Grand Medal Final which is to be held later this year at Worcester Golf Club. She beat a 113-strong field in a round which included a run of 10 pars and a birdie over 11 holes as she finished a shot ahead of Clitheroe’s Michelle Fielding. “This has been a fantastic day for me. Being able to represent my golf club gave me all the drive and determination I needed,” she said. This has also been a great result for Lancashire Ladies Golf Association’s Junior Girls’ Section with three of its junior girls finishing in the top 20. Louisa had her first official handicap of 36 two years ago, winning this event will now hopefully see it fall to single figures. She receives coaching at county and national level as well as with Scott Connor at Manchester Golf Club. JAMES Rooney won the Lancashire Boys’ Championship for the Harold Ryden Challenge Trophy at Fishwick Hall by two shots. The West Lancashire scratch player’s closing 71 matched the best-of-the-day score set in the first round by Nelson’s Niall Ormerod in testing conditons Rooney, who opened with a 76, posted a seven-over par total as Formby’s Ian Stirling claimed second place after handing in cards of 72 and 77. A shot back in third place was Wilpshire’s James Holt, who tagged a 77 to his earlier 73 while Ormerod followed up with an 83 for seventh spot. Five handicapper Tom Forrest, from Clitheroe, won the nett prize thanks to a fine closing 69 to add to his first round 76, prevailing on countback from Lancaster’s Toby Roberts and Skipton’s Robert Nesbitt. DETAILS: 147 James Rooney (West Lancs) 76 71; 149 Ian Stirling (Formby) 72 77; 150 James Holt (Wilpshire) 73 77. Nett: 145 Tom Forrest (Clitheroe) 76 69, Toby Roberts (Lancaster) 75 71, Robert Nesbitt (Skipton) 73 72. PATRICK Kelly, from Boston West, won the Fairhaven Trophy after a closing round of 71 for a three-under-par total of 285 and by two shots from Lindrick’s Joe Dean. The back holes were pivotal as Kelly completed them in one under, atoning for a double bogey at the fourth. Dean faltered on the home stretch by dropping four shots as Ashton Turner, Kenwick Park GC, and Huddersfield’s Nick Marsh finished tied third three off the pace. Meanwhile, a delighted Iida Nikka, from Finland, came from six strokes behind on the final day to clinch the girls’ title by a shot from Rotherham’s Olivia Winning. She was the first overseas winner of this international championship for Under-18 boys and girls. Over at Fleetwood, Lancashire Girls beat Fylde Juniors by three shots, James Broadhurst from Southport Old Links holing in one at the sixth. 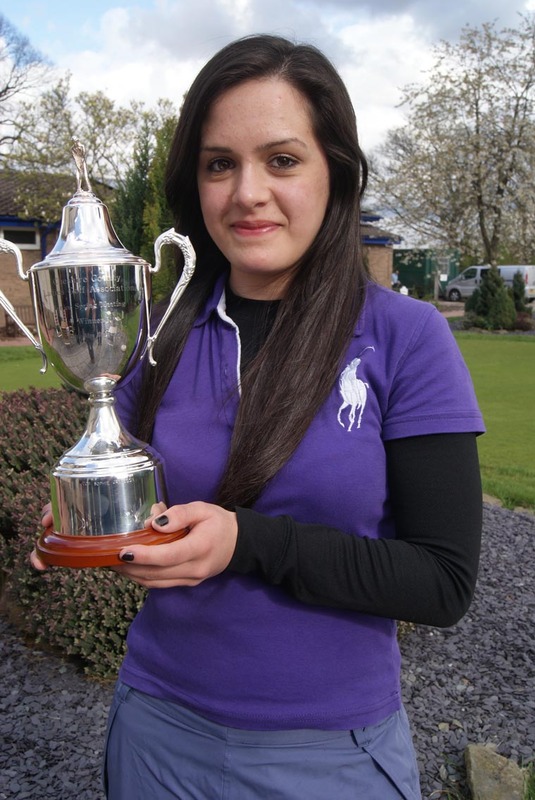 VICARS Cross player Reyhannah Saboonpaz won the Doreen Turner Trophy, the opening Cheshire Girls’ fixture, with 38 points at Sale. 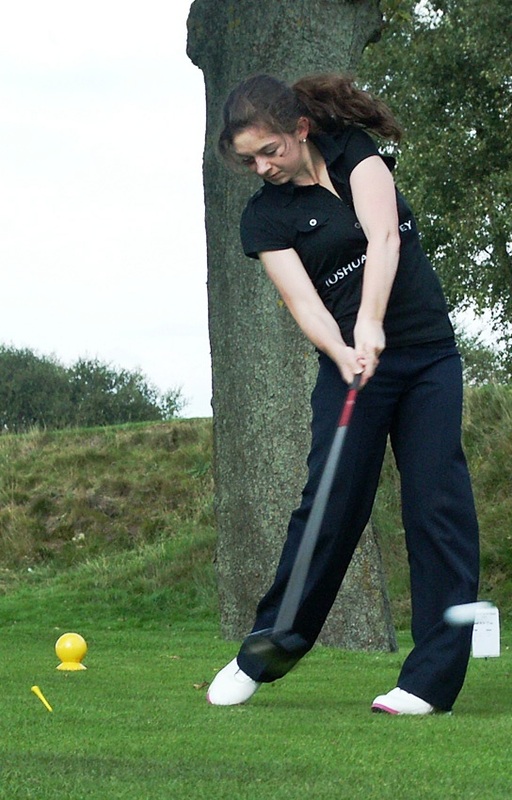 But it was a close call as she claimed the title on countback from Heswall’s Lucy Jamieson. Meanwhile, county captain Hilary McNeil revealed that the event was one of three which will count for a new Order of Merit. Among the spectators was the host club’s former Solheim Cup vice-captain Joanne Morley. CURTIS Cup player Bronte Law led a great week for England at the French Lady Junior Championship at St Cloud. The top seed from Bramhall went within a whisker of winning the title, losing by one hole to Celine Boutier of France in a 36-hole final which was peppered with birdies. Altogether six England squad players reached the matchplay stages of the championship including Chorley-based Emily Taylor, from Royal Lytham & St Annes. Dip your toes into this, kids! IF there are any budding Bubba Watsons out there, get yourself down to the thriving Chilli Dip Junior Academy at Blackrod on Sunday and join in the fun of their open day. There’s a nine- hole course, driving range, designated teaching bays and video coaching technology to get you into the swing on things. Helping you to get a grip with be PGA professional Philip Newnes and former Ladies European Tour winner player Lora Fairclough. Just roll at noon for a three hour session, which includes skills challenges with prizes to be won, on book your place by phoning 01257 474844. DISLEY juniors are proving to be good buddies to newcomers to the sport. The “buddy” scheme has been adopted by the club in a bid to make settling in much more comfortable for young players taking up golf. It is one of a wide range of junior and beginner friendly initiatives that the south Manchester club has introduced aimed at encouraging more people into both golf and club membership. Reflecting on the reasons behind a major overhaul of the club’s approach to juniors and beginners, Joyce added: “The junior section of the club has always been very successful, but then the cost to join was doubled and we started to lose juniors. “We wanted to look at the reasons why and whether we were offering the right kind of service. We saw GolfMark as being beneficial in its own right in terms of us getting the right duty of care and child protection policies in place. “High Achiever status means not only do we meet all the necessary criteria for GolfMark, but that we have gone into even more detail, that we have people going out and actively encouraging people into the sport and that there is more integration within the club. We now produce a handbook and have a parents evening to introduce the club to new members. The club has also cut the cost of joining for juniors, and now operates a tiered price structure ranging from £50 to £110. The club’s three PGA professionals – who operate under the banner of Competitive Edge – are fully involved in delivering best practice to the players and the on-going efforts to build closer links to local schools and community groups, such as Cubs and Scouts. Head professional Jamie Goodall and his assistants Scott Jackson and Mark Profitt have helped the job of integrating all sections of the club more closely, along with junior organiser John Potter and the junior committee. Now juniors with a handicap of 28 or less can take part in the main Saturday competitions regardless of age. There is a special junior prize for handicaps 10-28, while single figure juniors can win outright. The club has also established an indoor facility which means short game training and video swing analysis can continue even in the most extreme of weathers. A new offer for just £20 gives juniors the chance to sample life at the club, receive free four coaching lessons with equipment provided and use of the facilities until they feel ready to join as members and get out and play on the course. The club is also planning to repeat its successful Open Day of last year while encouraging more girls and ladies into golf will be a top priority for 2012. THE Golf Foundation’s new ‘Golf19’ campaign is a really easy way for adult golfers to put something back into the game. Simply text ‘Golf19 £2’ to 70070 and give some quids for the kids, making a real difference this summer. The Golf Foundation is asking all its supporters to text Golf19 £2 and help the charity to reach one million new golfers every year, providing children from all backgrounds with the chance to enjoy a game which offers them significant life skills as they develop. Mike Round, Chief Executive of the Golf Foundation, said: “When our team asks golf club members whether they would be happy to donate £2 to support the next generation of young golfers, the answer is always ‘Of course, no question!’ Everyone wants to help many young children get their start in golf, a chance that we club members have enjoyed ourselves. The importance of Golf19 is huge. Through its national programme, HSBC Golf Roots, the Golf Foundation is a national charity striving to make golf more accessible to boys and girls from rural, urban and inner city areas. It also has plans to reach more disabled children. 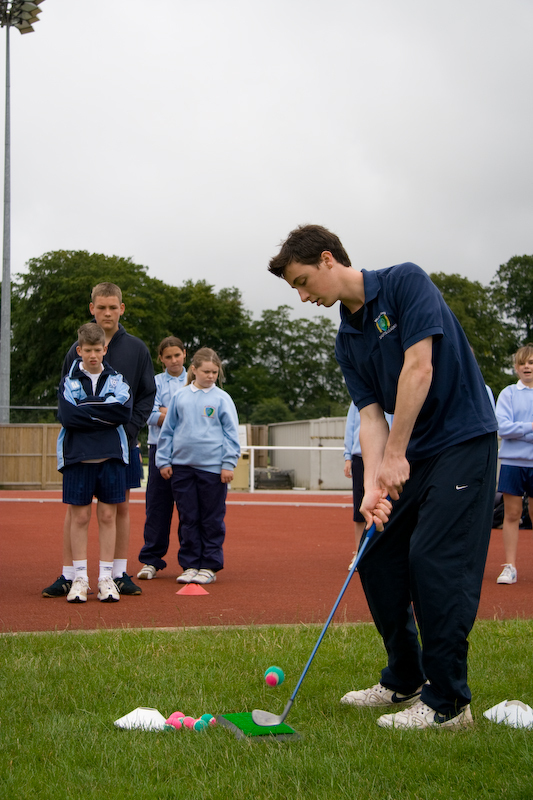 Its committed team of regional development officers have worked tirelessly with schools, communities and golf clubs to increase participation (with startling figures for growth in school golf and much healthier recent links between schools and clubs). All golfers can simply text ‘Golf19 £2’ to 70070 and all the money goes through to the Golf Foundation. It doesn’t have to be limited to £2 of course, you can text £5 or £10 if this is affordable. The method of payment is completely secure; you will receive a confirmation text when you make the donation and a see a £2 charge next to the 70070 number on your next mobile phone bill. 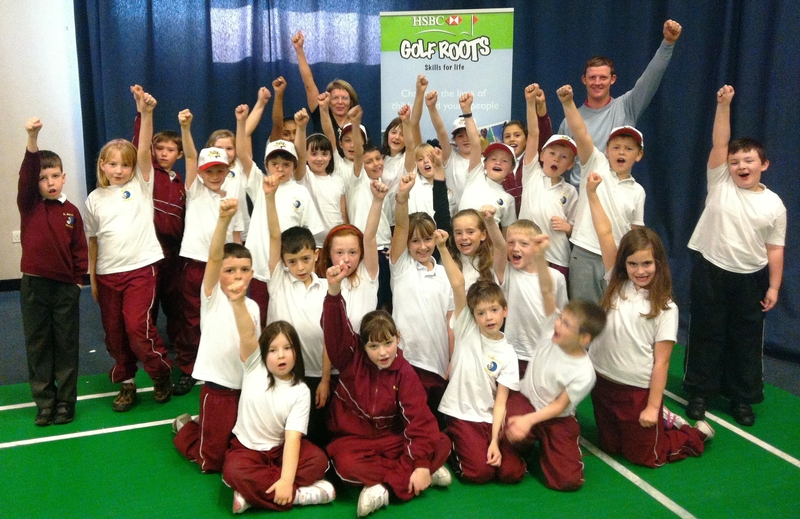 The Golf Foundation is aiming to reach one million children per year through its national programme, HSBC Golf Roots. To achieve this, it has a fundraising target of £3 million per year. The charity is already supported by The R&A, The European Tour, the Professional Golfers’ Association, the Ryder Cup Committee and Trust, the British Golf Industry Association’s ‘Grow Golf’ Fund, Sport England and headline sponsor HSBC, who collectively contribute just under £2 million. If golf clubs and club members help the Foundation to reach the fundraising target, the charity will not only be able to generate future club members, but will also have a positive impact on the lives of many, many children and young people. Simply text ‘Golf19 £2’ to 70070 and help young golfers get a start. Check with the bill-payer first; standard text charges apply. PLEASINGTON ace Brogan Townend is among five winners from the 2011 Faldo Series Europe Grand Final that will travel to China next month for the Faldo Series Asia title. It will be the 17-year-old daughter of Wilpshire-based professional Simon’s second trip to the World Amateur Golf ranking event at Missions Hills, following her appearance in 2009. 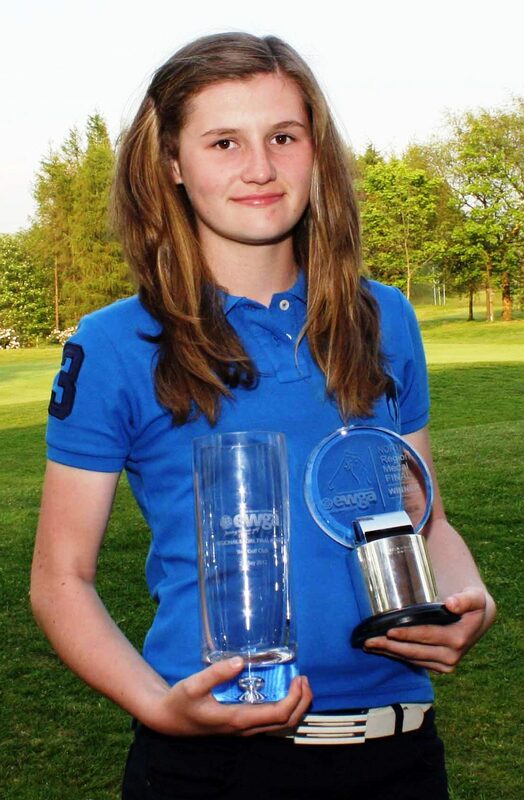 The Clitheroe Grammar School student won the Faldo Series Grand Final girls title at Ireland’s Lough Erne last season. Meawnhile, the two-time Lancashire junior champion will head off to America in August for a golf scholarship. 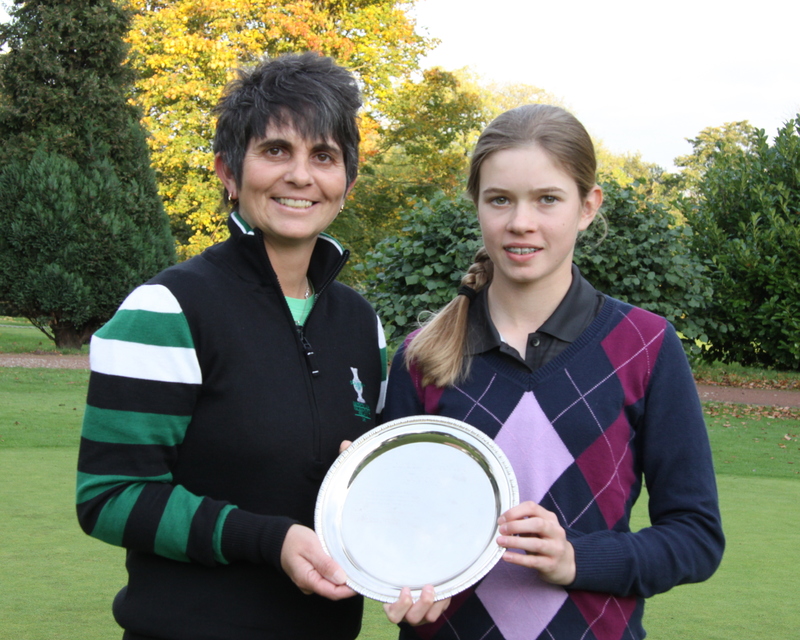 RISING Cheshire star Charlotte Leathem has pledged to lower her scratch handicap to plus three this season – and win the English Girls championships at Sandiway, writes Geoff Garnett. winter will take her a stage further in her golfing ambitions. “I have been working every day on both my swing and short game and on the physical and mental sides of the game with England physio Lynn Booth on a regular basis,” she said. Charlotte, 16-year-old student at Wilmslow High, played a round with Lee Westwood at Lindrick last year, added: “As well as the English u18 championship I will be playing in the English Women’s Amateur championships at Little Aston, the Ricoh Open qualifying, all of the main Cheshire Ladies and junior events and the British Girls’ championships. CUMBRIA club Carus Green which has taken the sport to the heart of its local community has earned national recognition for its efforts with the award of GolfMark, a national seal of approval for junior and beginner friendly facilities which play an important role in the development of the game. The club has taken a proactive approach to encouraging more people into golf, going into neighbouring schools to deliver Tri Golf sessions, involving women’s groups in the area in their Get into Golf schemes and even taking golf out to the town’s shoppers. The club, in the town’s Burnside Road, has been an active supporter of the Cumbria County Golf Partnership, which seeks to introduce golf to all ages and abilities. Beginners courses for ladies have provide particularly popular and resulted in a number of new members for the club, while the junior section caters for children starting out from the age of five up to county level elite players. Anne added: “We have junior sessions on a Saturday morning and Tuesday evening, with a band of volunteers supporting the work of our PGA professionals Andrew Pickering, Dave Turner, and assistant professional Tyson Barclay. We have a Tri Golf area for those who are new to the game while the club members are very supportive as we take over the first four holes every week for our coaching sessions. GolfMark is a national scheme that incorporates ClubMark and recognises junior and beginner friendly golf facilities that focus on Coaching and Playing, Club Environment and Child Protection, and Duty of Care, all of which are extremely important to parents and children alike. Anne says the award will offer parents reassurance that their children are in a safe environment. THREE regional players are among the 10 teenagers who will represent England in the French Lady Junior Championship at St Cloud, near Paris, on April 5-9. They are Curtis Cup hope Bronte Law, from Bramhall; Chorley-based Emily Taylor, who plays at Royal Lytham and St Annes, and Pleasington’s Brogan Townend. The championship is contested by the cream of Europe’s U21 golfers and England players have a fine record in the event, with two wins and a success in the U18 event in the past five years. Lauren Taylor is the British ladies’ champion while Charley Hull is the English and Welsh women’s strokeplay champion. Together with Bronte Law, they have just been selected for the LGU’s preliminary GB&I Curtis Cup squad, while Georgia Hall is the reserve. All four were in England’s winning team at the 2011 ladies’ Home Internationals. 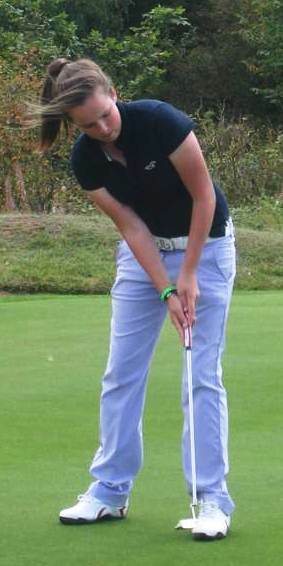 Sophie Godley was runner-up at the 2011 English girls’ championship and Amber Ratcliffe was a member of the GB&I U16 team for the inaugural junior Vagliano Trophy, as were Georgia, Charley and Bronte. PROMISING young Cumbria golfers are to get the chance to develop their skills as part of a special talent-spotting programme. The scheme is aimed at helping boys and girls to develop their abilities to enable them to progress within the game and reach their potential. Players do not need to be a club member or even have a handicap but must show the commitment and desire to become better players. The programme is in its third year and features 12 hours of high quality coaching from a PGA qualified professional between April and June. Coaching centres will be based at Barrow Golf Club, Eden GC, Carus Green GC, Whitehaven GC, Penrith GC, Appleby GC, Bentham GC and Carlisle GC. Players will get the chance to test out their new-found skills in a series of inter-group matches culminating in an end of year contest against the Durham and Northumberland Academies. The first steps towards getting involved in the 2012 County Academy programme take place in February when two free talent assessment days will be held. These are aimed at youngsters aged nine to 15. Closing date for applications is Friday, February 3. After the assessment days have been completed further details will be posted on the website. The Cumbria County Golf Partnership is a collaboration of a number of stakeholders in the sport including the English Golf Union, The English Women’s Golf Association, the PGA, the Golf Foundation and Sport England. The partnership is supported by the Cumbria Ladies County Golf Association, the Cumbria Union of Golf Clubs, The Eden Valley Sports Partnership and the PGA North East/West. For more information on the work of the Cumbria County Golf Partnership contact Jane Robinson. County Development Officer, Cumbria County Golf Partnership. THE Tiger Cub Tour is the brainchild of former English Golf Union President, Roy Case, who has been a steadfast supporter of junior golf for most of his adult life, and his contribution to the development of the junior game in England has been well documented. Listed among his achievements was the inauguration of the McGregor Trophy, later adopted by the English Golf Union in 1993 as the English Boys’ [Under 16] Open Amateur Strokeplay Championship. tournaments for young players under the age of 11.
has dubbed the Tiger Cub Tour. girls, who are under the age of 12 years on January 1 in the year the tournament. South Moor Golf Club, County Durham, which played host to the McGregor Trophy in 2011.
and handicap scores in each of the categories. position in regional qualifying events, the results of which will be published on the dedicated website tigercubtour.co.uk. held at the Newark Golf Club in Nottinghamshire during the school autumn half-term holiday. EMMA Vallantine is justifiably proud of her role a junior captain of Werneth Low during the club’s centenary, writes Geoff Garnett. The 16-year-old student at Aquinas College in Stockport, where she is studying a broad spectrum of A levels in mathematics, biology, law and sociology, is one day hoping to become a golf professional. the age of 11.Her handicap drop from 36 to 22.8 during that time enabling her to be a regular and successful member of the club’s women’s and junior teams. 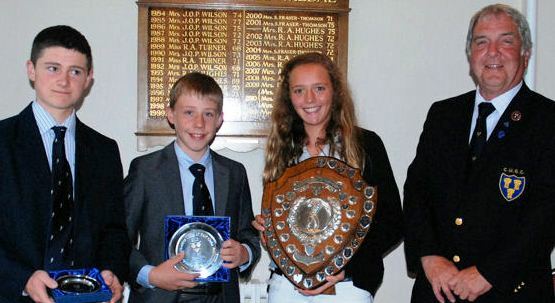 The last two seasons have seen Emma win a string of competitions including the Junior Millennium Trophy twice and the Seve Trophy for the Most Improved Junior, also twice. She also won the most reduced handicap in successive seasons and other competitions won are the Herman Ogden Trophy, the Hulse Trophy, the Playing Field Shield, the Ethel Hamer Trophy and last season she was the club’s EWGA champion for the lowest four nett scores and is looking forward to playing in the regional finals. She has also represented Cheshire Girls with success in a team match at Furness and came fourth in the Joanne Morley Junior Challenge at Sale. Emma also teamed up with three of the club’s men to come second in the Stockport Pub Challenge and all had team T shirts with Emma having her nickname ‘half pint’ which her dad calls he on her shirt. Emma said: “I enjoy golf because it is a very sociable sport and enables me to play with my friends and also meet new people. “It is the only sport I have undertaken that I am good at and now it is my passion. “I am the only junior girl at Werneth Low so I get really spoilt by the men in particular the seniors section and I am the starter at the Seniors Open. “All of the men at the club are desperate for me to get my handicap below my dad’s so that they can take the mickey out of him – it’s really good fun at Werneth Low like an extended family. “I play in the mixed competitions which I really enjoy because you play with lots of different people and it helps to improve social skills. “My ambition in 2012 is to get may handicap below 18 and I am attending the Portal Golf Academy through Cheshire Girls to help me achieve my golfing ambitions. “I am also trying to help in building a larger junior section and I aim to have a really successful Junior Op0en in our Centenary Year which will be free to enter. “I am looking to play golf as a hobby for now and aim to get down to single figures with the ambition of becoming a golf professional, starting as an assistant in a local golf club which I think would be good for promoting girls golf”. TRAFFORD teenager Gemma Clews has enjoyed an outstanding year with a string of county, regional and national successes to her name, writes Geoff Garnett. And the former Junior Captain of Ashton-on-Mersey has been able to celebrate her 17th birthday with the news that she will be the Captain of Cheshire Girls in 2012. Gemma, also a member at Delamere Forest which is now her main club, is at Ashton-on-Mersey High School’s sixth form studying Sports Science and other related subjects to help further her golfing ambitions. She showed her prowess in match play being unbeaten in all of her games for Cheshire Women’s A team and was one of their top players in the Northern Counties championships winning her county colours and she was unbeaten in all of her games for Cheshire Girls. Among her major individual wins was the Cheshire Comboy Scratch 36-hole Trophy and she was also the winner of the Northern Counties Foursomes and was the top individual at the Three County Trophy which she helped Cheshire to win. Gemma was the nett winner of the prestigious Pleasington trophy where she finished fifth and she also won the nett trophy for the Millennium Trophy in the English Women’s Northern Championship where she was beaten in the overall final. Another success came with winning the nett trophy in the English Girls’ Closed Championship where she finished in sixth spot and she also did well to qualify for the English Women’s Open Strokeplay Championship where she finished 24th. In the Northern Girls’ Championships she was fifth and winner of the Chairman’s Trophy for the 16-18 age group and in the Royal Birkdale Scratch Trophy she won the longest drive prize. In the English Girls’ Order of Merit she was placed 25th out of 250 girls and 89th in the English Ladies Order of Merit from more than 500 players. She finished the season with her handicap on 0.6 and one of her aims in 2012 is to reduce to scratch and then get into the plus category. The UK schedule for 2012 features two new venues: Old Fold Manor (July 9-10) in Barnet, England and Panmure (August 21-22) in Angus, Scotland. Both clubs have hosted qualifying for The Open Championship. Five more Open qualifying venues remain on the schedule: Moortown (April 3-4), Royal Ashdown Forest (April 24-25), Trentham (May 1-2), West Lancs (May 10-11) and Hollinwell (August 28-29), all in England. Pyle and Kenfig (July 3-4) in Wales, a two-time host of The Amateur Championship, also returns to the schedule after the success of its first Series event in 2011. Amateur golfers born in 1991 or later can enter the Faldo Series online at www.nickfaldo.com/series at a cost of 55 pounds per person, reduced from 70 pounds in 2011. Entry includes a practice round and two tournament rounds at the chosen championship course and for five age-category winners at each venue – three boys and two girls – an exemption into the 16th Faldo Series Europe Grand Final next September and all local expenses covered during the 54-hole World Amateur Golf Ranking event at Lough Erne Resort in Northern Ireland. Established in 1996, 38 Faldo Series tournaments now take place in 27 countries worldwide with over 5,000 golfers participating each year. Past winners include Major Champions Rory McIlroy and Yani Tseng. 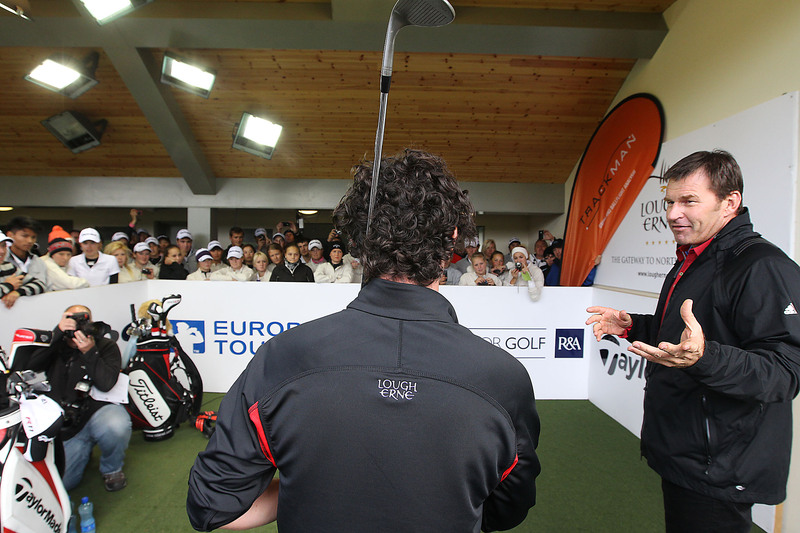 The 2011 Faldo Series Europe schedule featured a record 18 tournaments in 11 different countries, including England, Ireland, Scotland, Wales, the Czech Republic, Russia, Greece, The Netherlands, Brazil, Germany and Slovakia. It concluded with the 15th Grand Final on the Faldo Course at Lough Erne in September, hosted by the six-time Major Champion and won by 20-year-old Gavin Samuels of England. runs the North West Golf Academy at Westhoughton club Hart Common.They all passed the Tri-Golf initiative, funded by Golf Roots, with flying colours and were then invited to a special festival at Bolton Arena.The pupils were also handed Golf Foundation passports to allow them to take part in level one coaching at the arena indoors in a warm environment over a six-week week course which starts on Sunday. THE hugely popular Joanne Morley Junior Challenge returned to her club Sale where a record number of 50 players aged under 16 years found the course in pristine condition with superb fast greens for some of the most talent youngsters in the region, writes Geoff Garnett. win by Europe over the USA in the Solheim Cup a few weeks ago, was delighted by the quality of the play and meticulous behaviour and sportsmanship both on and off the course. For the first time since she presented her trophy in the past decade the winner was a girl. 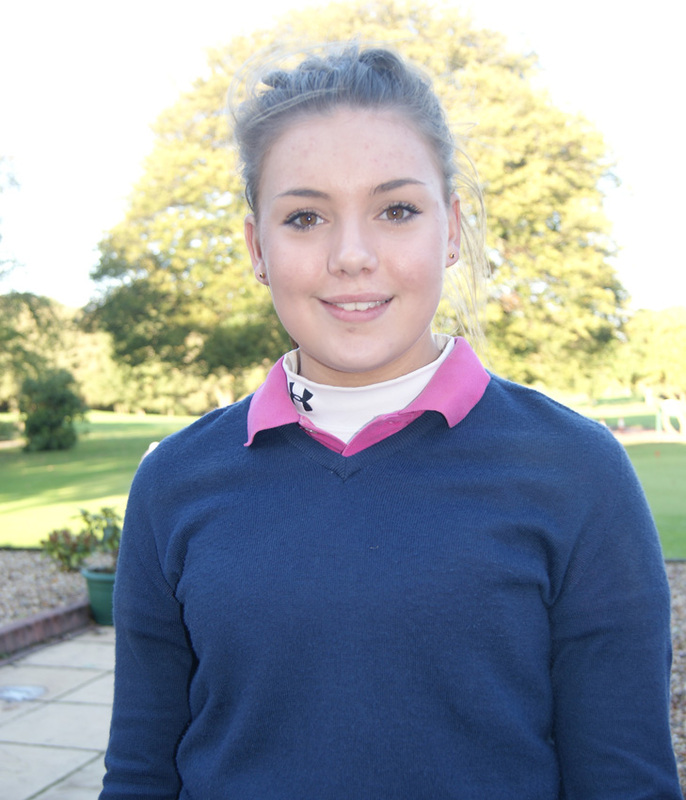 Eloise Healey, a five-handicapper from West Lancs ripped up the record books with a superb one-over-par 73 for 39 points. Next in for the girls was Emily O’Shea from Fairhaven with 38 points to win a golf bag donated by Sport4Life. The other girl prize winners were Hannah Li (Tytherington) 33 points who won a round for four at Chorlton, Emma Valantine (Werneth Low) 32, Charlotte Leathem (Styal) 31 and Louisa Brunt (Ashton-under-Lyne). two ahead of Sandiway’s Jack Duncalf 36. Greg Campbell (Vicars Cross) 36, Spencer Yates (Stamford) 35 and Rhys Nevin (Sandiway also 35. More honours for Sandiway came for their team of Rhys, Jack and Tom Duncalf who the club team prize with an excellent haul of 99 aggregate points. Other special awards went to England u16 star Cameron Massey (Chorlton) for the best gross of 73. CHESHIRE juniors made it three consecutive wins in the Matthew Brown Cup in Menorca. The destiny of the trophy was decided between the team of two boys and two girls with the best gross plus the two best nett scores over the two rounds of the Balearic u16 Open. Representing Cheshire were Cameron Massey (Chorlton), Jack Duncalf (Sandiway), Charlotte Leathem (Styal) and Poppy Finlay (Vicars Cross). They won by the convincing margin of 423-447 with u16 Cheshire champion and England international Cameron Massey leading the way as he won the individual championship with rounds of 68 and 69. This gave him the edge over Delamere Forest’s Lancashire player Haydn McCullen by three shots with Charlotte Leathem third with 143. The Son Parc course was in superb condition and Menorca provided fantastic weather. Cheshire officials Mike Jones and Barbara Baird expressed the appreciation for the generous continued support of Hugh Brown in staging the event together with all of the hard work put in by the Son Parc staff. This year, for the first time an official England u16 team played a Nations Cup match within the u16 Open against a team from the Spanish mainland based on three from four gross scores over 36 holes. Well done to the Cheshire team and their leaders, Mike and Barbara. They’ve certainly got a lot of talent for a small county. Thank you for another fantastic article. Where else could anybody get that type of info in such a perfect approach of writing? I’ve a presentation subsequent week, and I’m on the look for such info.